$12.00 In stock. Order in the next 3 hours, 18 minutes and it will go out today! 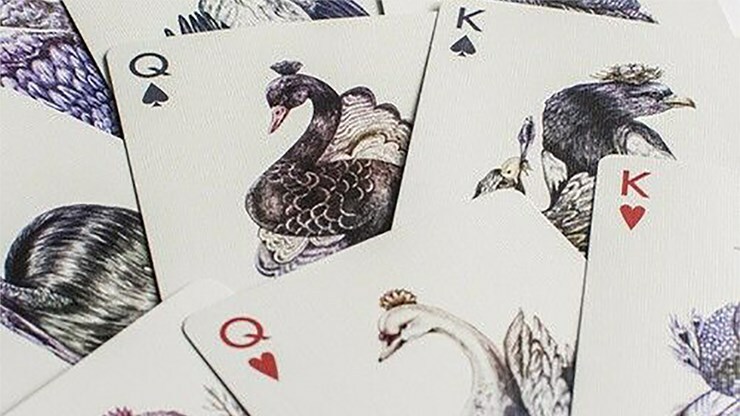 LUX Playing Cards makes luxury playing cards that feature fine art by artists from around the world, and of all their decks, this is easily my favourite. 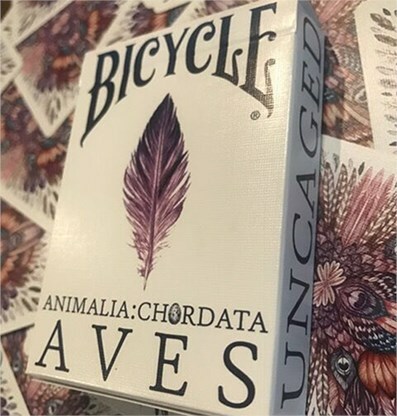 It's a popular deck that was first produced in 2014, and AVES Uncaged is a slightly revised and new edition, since previous editions are out of print. 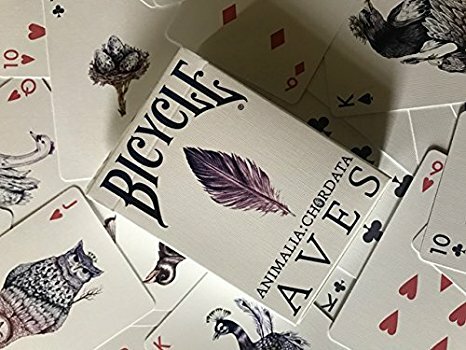 AVES is the Latin and Spanish word for "birds", and this deck was inspired by birds from all over the world. One of my favourite things about this deck are the card-backs. Extremely detailed, this artwork features feathers from many types of birds, tied together. This design really lends itself to fanning and card flourishing due to the striking patterns and colours. There's a lot to appreciate and enjoy when you take a close look at this artwork! 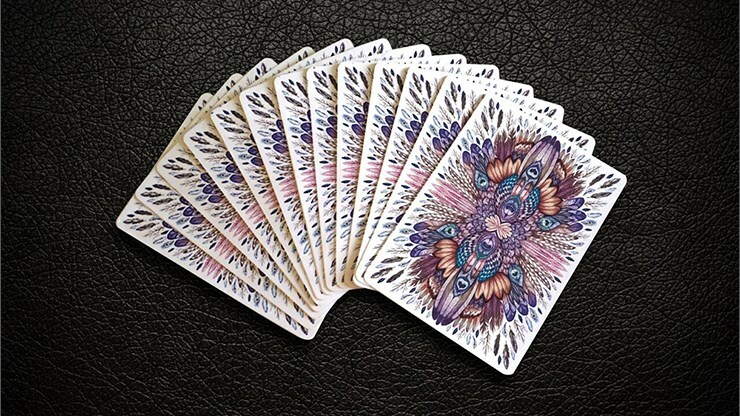 The beautiful artwork for the entire deck was hand-drawn, before being turned into digital art and then printed. 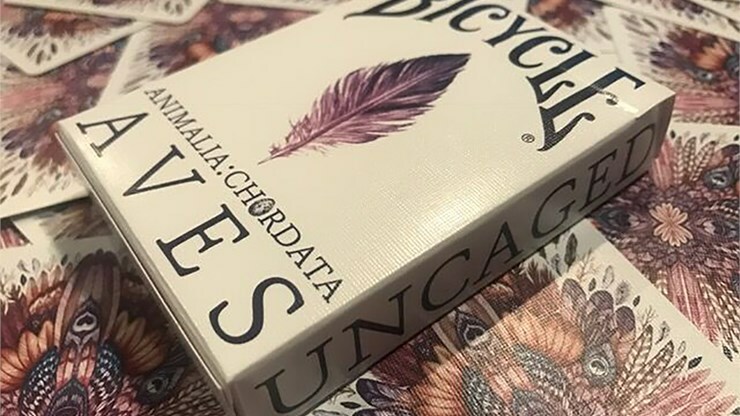 The artist spent months working on the illustrations for this deck, and it really is stunning and beautiful! Each court card depicts a different bird, and these are the cards I like best. The designs on these court cards are actually one-way, in some cases showing the male of the species from one side, and the female from the other side. 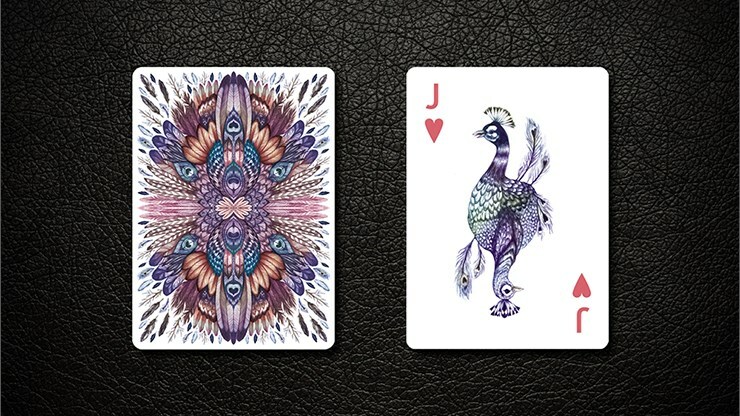 Even the Aces continue the bird theme, with bird-flavoured artwork that is cleverly shaped according to the suits. The number cards and pips are also custom, and while the design isn't a radical departure from standard cards, the black and red colours used for the pips are definitely muted in tone, and these softer colours gives the entire deck a very different feel, that fits well with the style of the court cards. 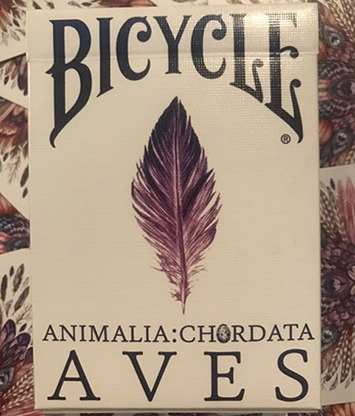 AVES uncaged also comes with a double-backer card, and promo card. It is printed on USPCC's upgraded Bee stock, and has an embossed/linen finish. The artist behind this fine deck is Russian born and bred Karina Eibatova. Karina has spent time in Vienna and London, where she specializes in drawing, illustration, murals, video, calligraphy and typography. She has had art exhibitions in Russia and throughout Europe, and her clients are world-wide. One of her recent projects was a commission to paint a mural in a Spanish luxury hotel. Not only an illustrator and fine-artist, Karina also enjoys studying nature, including of course birds! This is definitely a beautiful collectors item, and something to catch before it flies back into out-of-print status.